TRANSORGA – worldwide Partner for Industrial and Project Procurements. We herewith like to introduce our Company, its Supply range and Services and would like to apply becoming Supplier for your regular demands of technical Equipment, Spare Parts and Components for Maintenance, Services and Consultancy. TRANSORGA - Group of companies is as reliable and experienced International Procurement Organization with its own extensive network of subsidiaries, branch offices and business partners all over the world. We are a competitive supplier of Spare Parts for heavy Construction Equipment, Commercial Vehicles and Industrial Machines as well as Machines and Equipment. Specialised in the fast procurement and distribution of products, we would supply whatever you require – wherever you need it. You can rely on us! The TRANSORGA Network, established in 1991, offers a professional procurement service for a most diversified range of products, not limited to certain brands. Using the assistance of our own branches, worldwide business relations and direct contacts to renowned manufacturers, we may offer you a valuable and efficient service, technical product Information and competitive offers in short time! Apart from our Procurement Service, NATCO AG, a Transportation & Logistics Company, which is member of the group will ensure, that the ordered goods will reach you safely and on time! Considering our purchasing potential and the fact that TRANSORGA procures the requested products whenever possible from the sources directly, your company will benefit not only from cost savings, but also being ensured receiving top quality and genuine goods only. We are confident that TRANSORGA can offer you valuable solutions for your regular demands and purchasing activities. Please send us your detailed, concise inquiry and we will offer immediately! You can reach our Office, which is located in the Düsseldorf Harbour Area near by the famous Rheinturm, easily by means of any transportation service. Our office is located only 12 km South of Düsseldorf International Airport, from were you can reach us by Taxi within 20 Mintues only. 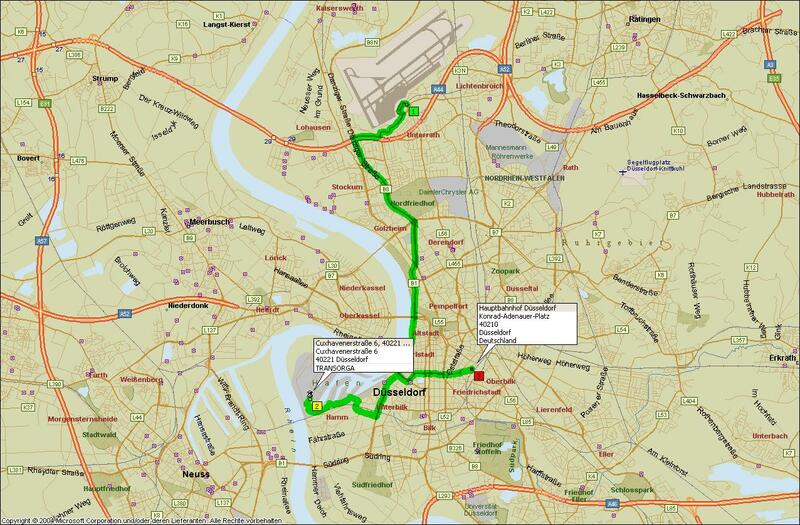 In case you arrive by train at Düsseldorf Main Station a Taxi will need just 15 Minutes. As Düsseldorf is located in the centre of Germany you can of course reach us easily also by car.